Is this the right dependency to add for the feature that I need to build? What open source libraries and/or packages are others using? Is this a stable and secure version? Does this package’s license conform to my organization’s policies? These are important questions that developers need to answer when choosing open source software components for their project. It is nearly impossible to deliver a modern application without depending on a number of software packages. It’s hard to justify spending time on the decision process since it doesn’t seem to add any visible business value. 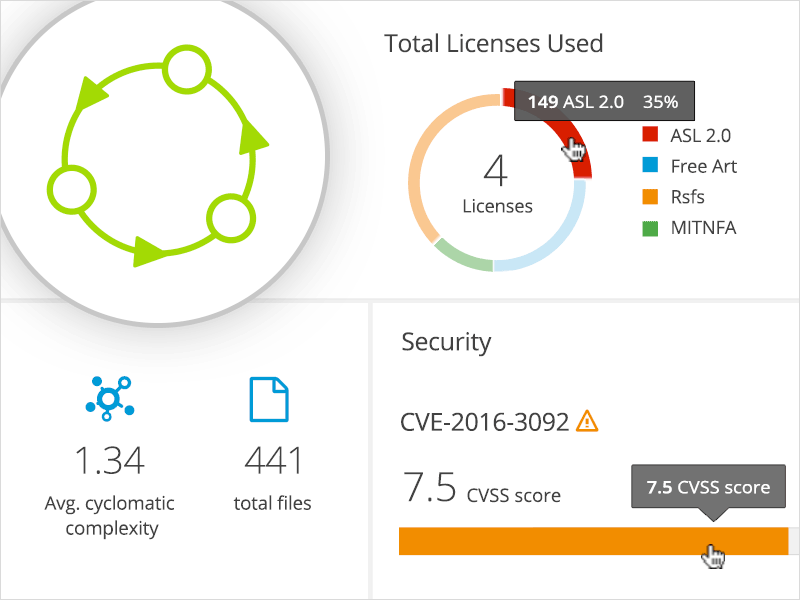 However, each component included is a potential liability if it has bugs or security vulnerabilities. It’s a challenge to keep up with a variety of open source projects and potential alternatives. 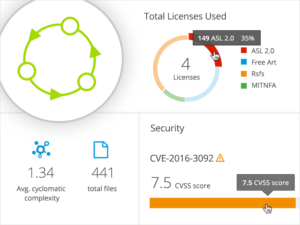 Even when looking at one specific package, a multitude of versions are available with maturities ranging from bleeding edge to quite stale with known bugs. Too often, a developer becomes aware of a problem too late in the game, when a serious bug or security weakness is found after the application has shipped. To avoid retesting and other possible problems, developers need to find out if a change is needed as early as possible in the development cycle. Developers need a way to be more confident in the software choices they make. To help development teams get started quickly and be productive, Red Hat created OpenShift.io. OpenShift.io is an end-to-end development environment for planning, building and deploying cloud-native applications. 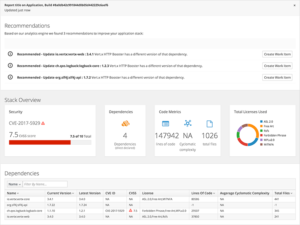 Openshift.io analytics perform a full application stack assessment. 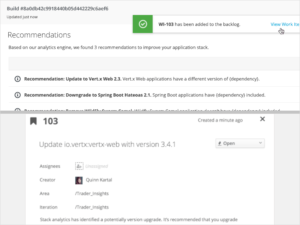 The insights and recommendations produced are fully integrated into the developer workflow. Deep analytics give you insights beyond what is possible with plain static analysis tools and techniques. 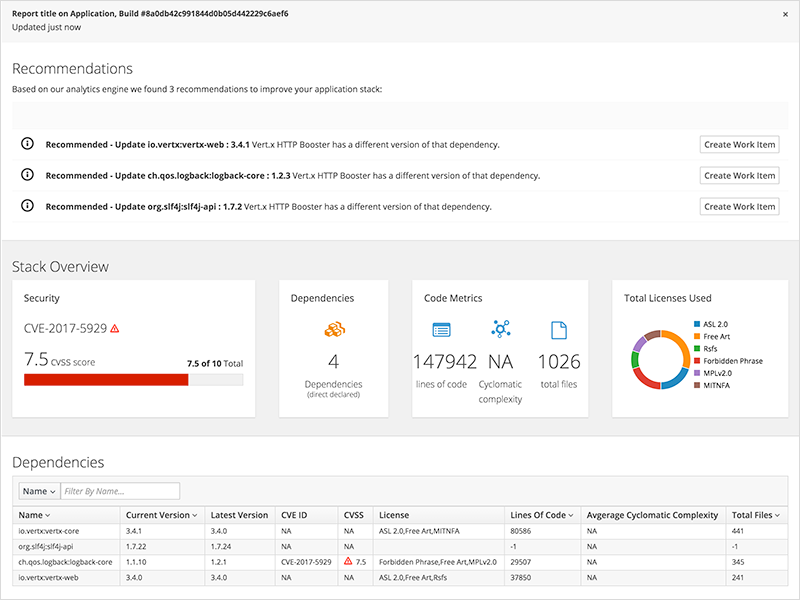 Providing developers with important information and analysis on your application dependencies concerning licenses, security, and software quality is a fundamental capability of OpenShift.io analytics. Data is presented in an easily consumable and accessible format with different levels of granularity. The most relevant information is highlighted to speed assessment. Only actionable information is valuable. This is why OpenShift.io analytics are deeply integrated across the development workflow. Information is presented when changes are made and alternative options become available. To enable action as early as possible, information is presented during development in the IDE. 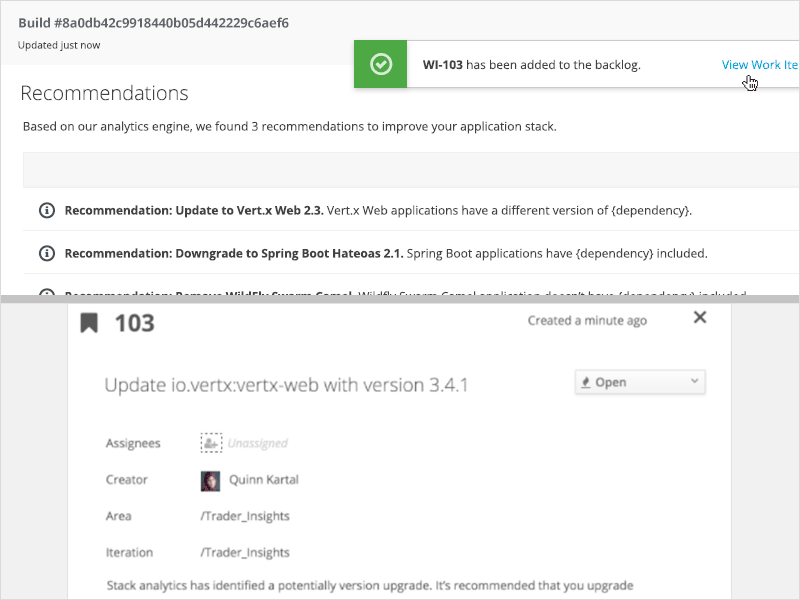 A full stack review is available after each fully automated build. In both views, the developer can act upon the information, create planning items to track the recommendations and assign them to other team members if necessary. OpenShift.io analytics go beyond highlighting simple concerns. It provides a full picture of your application stack in context. A continuous analysis of crowd-sourced data is performed to come up with recommendations that are relevant to your project. As our system learns, it can produce additional insights that are specific to your project. OpenShift.io combines the innovations of a number of open source projects, including fabric8, Eclipse Che, Jenkins, JBoss Forge, WildFly Swarm, Vert.x, Kubernetes, and of course OpenShift. OpenShift.io itself is a container-based application delivered on Red Hat OpenShift Online. Available for free, OpenShift.io is currently in a limited developer preview. Sign up at openshift.io to be notified when space becomes available. If you know the basic commands of Linux then download the Advanced Linux Commands Cheat Sheet, this cheat sheet can help you take your skills to the next level.